Session recording and data insights - identify the user experiences of specific customer segments. Discover website bugs. Full Story is a website conversion tool which will be highly attractive to companies looking primarily for session replay functionality to identify problems certain groups of users are having and to spot bugs. Full Story records all user sessions, which allows you to see the customer experience and optimize your site accordingly. They also offer a range of reports and insights as well as heatmapping. 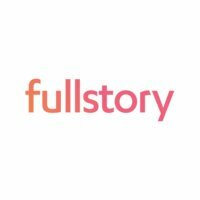 FullStory is a good solution for companies who want to see how specific audiences are using their site. Recordings of user sessions are easy to view, and the search functionality on offer means it’s easy to find a specific user group and see how they are engaging with your content. The platform highlights where users have become frustrated, which can make it easy to identify bugs and design issues. This is also helped by the inclusion of a log of script errors, which makes it easier for web development teams to spot where things have gone wrong. This platform allows offers heatmaps and reporting which helps show how users are engaging with the site. The reporting is detailed, showing customer profiles with a history of which users had visited web pages. These features mean that Full Story is a good option to consider for companies looking for session recordings and user insights.